Oh the beautiful land of Mozart and The Sound Of Music. 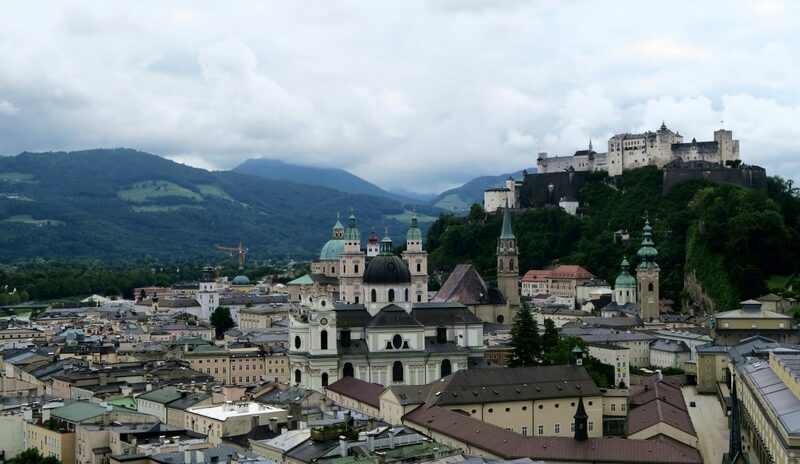 When I first started looking into a trip to Salzburg, I’d be lying if I said I knew what there is to do there. In fact, the three of us were so busy at work before our trip, that even when we arrived, we weren’t too sure on what there was to do in Salzburg! We actually wanted to go to Vienna but accommodation costs were extortionate at the time and Salzburg seemed like the next best fit! As soon as I started looking into it, I knew I would fall in love with the city. Fast forward a few months and here I am, an avid Salzburg fan, and with good reason! This is how we sent our 3 days in the beautiful city! Upon our arrival in Salzburg, we hopped in cab and headed to our hotel City Strumer Tube, which I would definitely recommend! It’s cheap and cheerful and the girls working on reception are some of the most friendly and helpful hotel staff that I have ever met! After checking in, we were ridiculously excited to get into the city centre and start exploring! As with most Central/Eastern European cities, the “old town” is where you want to start your trip. Gorgeous buildings, amazing architecture and a beautiful river! 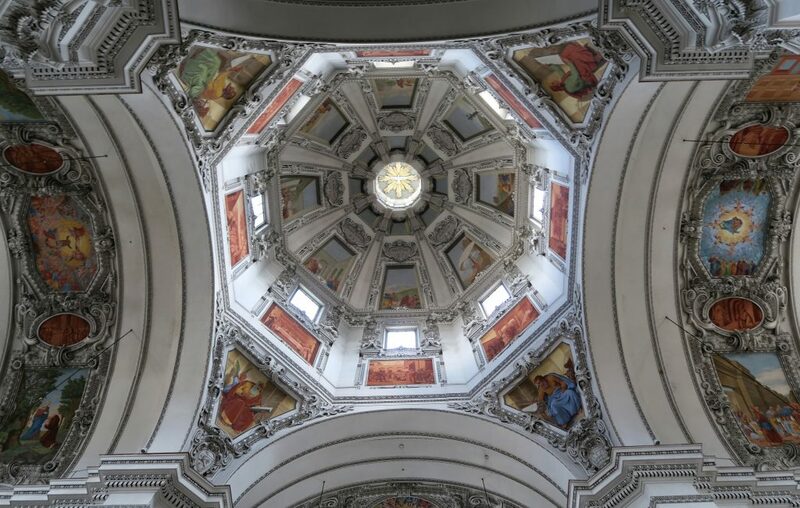 There are plenty of cathedrals and churches in Salzburg (particularly around the Old Town) but my favourite is the Salzburg Cathederal. Never before have I seen somewhere so pristine and white. 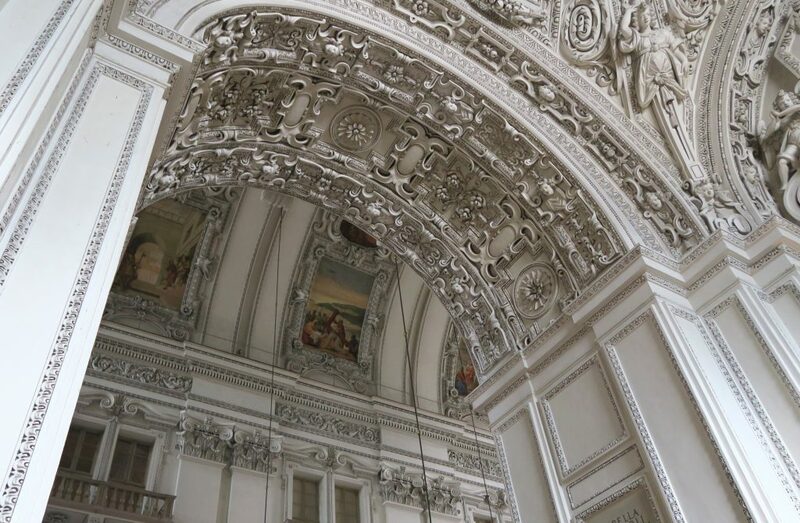 The gorgeous facades inside the cathedral are so ornate and different to anything I’ve ever seen before! 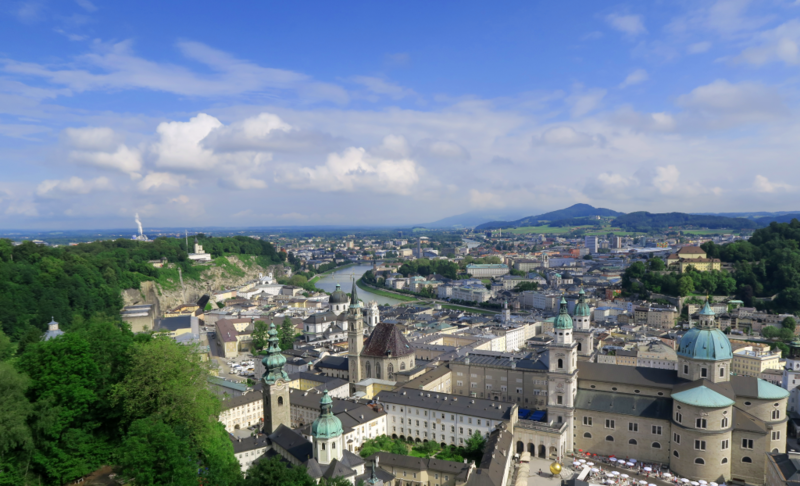 Whilst exploring the Old Town on our first afternoon in Salzburg, we picked up a Salzburg Pass from the Tourism Office – I would definitely recommend this if you want to see all of the main attractions in Salzburg. RELATED POST: Find out how much money you can save by using the Salzburg Pass here! The first thing we noticed in the Salzburg Pass brochure was a river cruise, and we just HAD to do it. 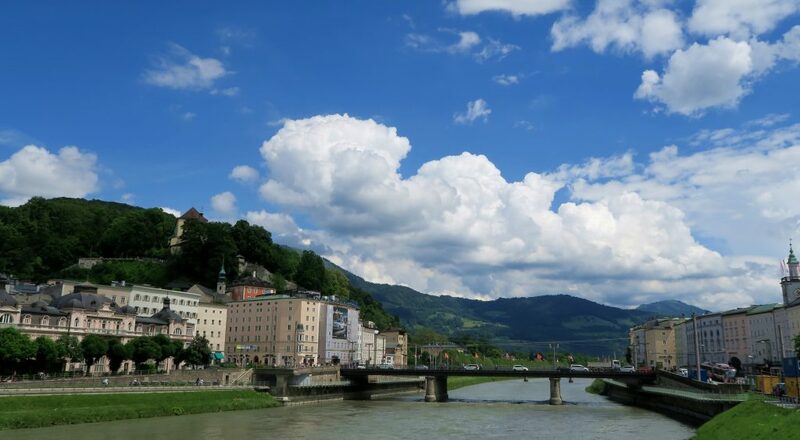 It’s not often that you get to do a river cruise for “free” – okay, technically it’s not free because we paid for the Salzburg Pass, but you end up saving so much money, the pass pays for itself! Logic ;-). If you don’t have a huge interest or passion for Mozart / classical music, I’d maybe tell you to skip this attraction. Unless you have the Salzburg Pass and can therefore get in for “free” like we did! We had heard so many great things about this museum but left feeling slightly underwhelmed. But then again, it would probably be wrong to visit the land of Mozart without visiting his birth place! The one thing that I found particularly interesting to see were Mozart’s original handwritten music sheets. 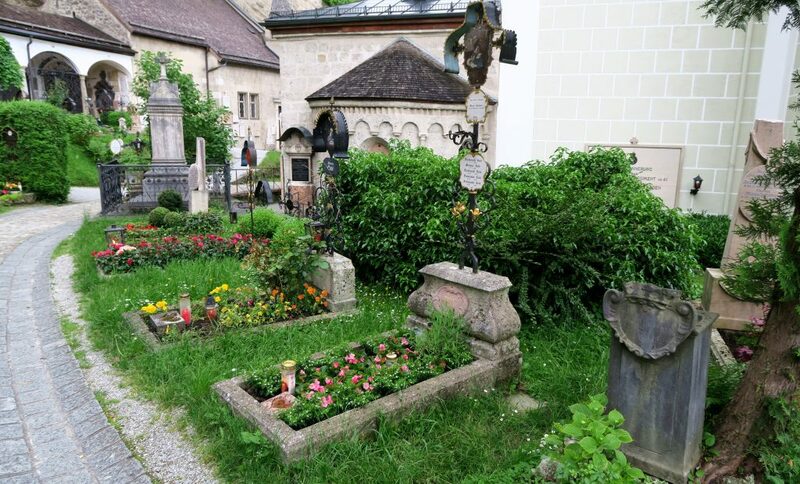 Whilst still in the main city centre, we headed over to St Peter’s Cemetery, the oldest cemetery in Austria. It was so beautiful (is that strange to say about a cemetery…?). Whilst it might not sound like the most glamorous attraction, it is in the main city centre and is definitely worth a visit! After flying in and wandering around the whole of Salzburg in one day, sadly our first day was coming to an end. Our hotel was really close to Mirabell Gardens and Palace, so we decided to go there before heading back to our hotel and then going out for dinner. Unfortunately it decided to absolutely chuck it down with rain – it’s safe to say that the gardens didn’t look all that pretty in torrential rain! Queue spending the evening trying to find more places in our hotel room to hang up our soaking wet clothes…. On our second day, we headed straight for Hohensalzburg Fortress. This is without a doubt, my favourite thing to do in Salzburg! I am an avid lover of castles and fortresses, as are the two girls I was travelling with. We spent hours here and probably could have spent longer! The Salzburg pass includes one ride up to the Fortress on the funicular, it’s pretty steep, so prepare yourself if you are scared of heights (we let out a few girly squeals…). But seeing as the fortress is high up, the views are incredible as you can imagine! The fortress is absolutely huge and we felt lost a few times – a great way to spend half a day! 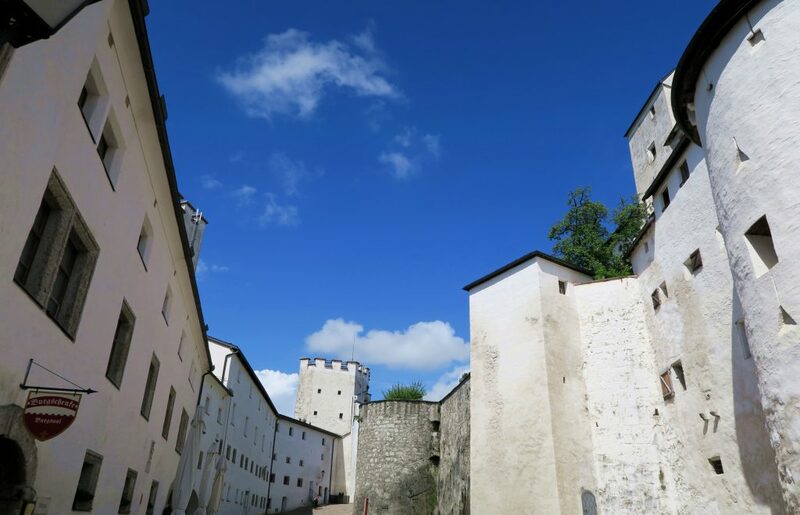 Hellbrun Palace is slightly outside of the city centre, so catch a bus from Hohensalzburg Fortress (probably the closest attraction to the Palace). Hellbrunn Palace is absolutely lovely and the gardens are gorgeous in the sun. I’d also definitely recommend taking a tour of the Trick Fountains. The stories of the King who installed all of these “trick fountains” to make his guests jump are hilarious! Be warned, you will probably get a bit wet! 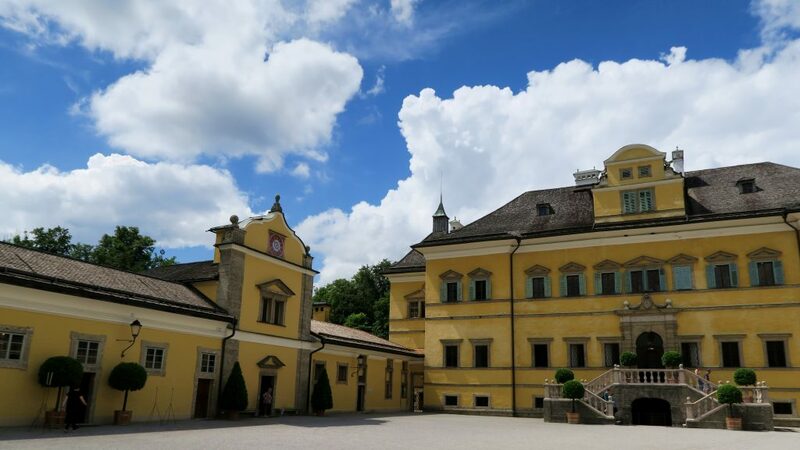 Zoos aren’t my cup of tea, but there is a zoo right next to Hellbrunn palace, so if you’re thinking of doing both attractions, it makes sense to do it in the same day! We popped into the zoo quickly to see the goats in the petting centre – my friend loves goats! Otherwise, I wasn’t overly impressed with the size of the enclosures and we left pretty quickly. 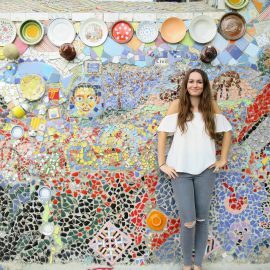 Make a More Successful Visit to Mirabell Gardens! 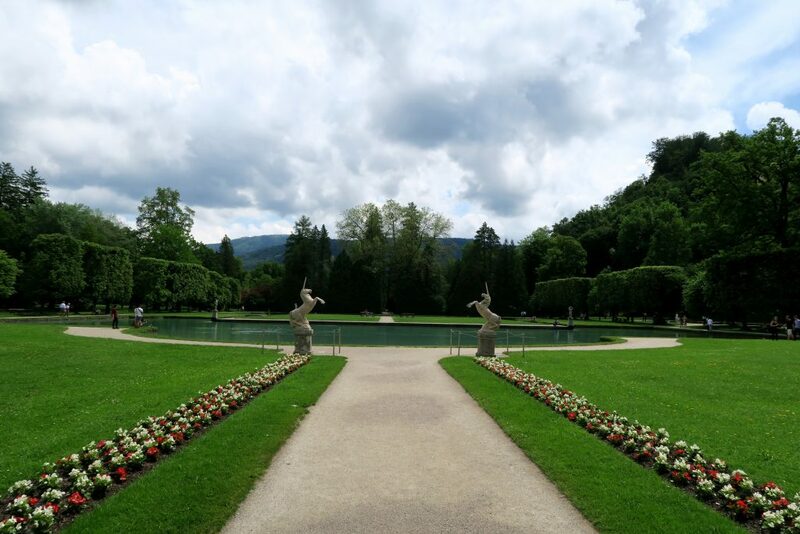 On our way back to the hotel at the end of a busy day filled with fortresses and palaces, we tried to visit the Mirabell Gardens one more time! This time was much more successful, the sun was shining (just ignore the puddles on the ground) and it’s a really gorgeous place to explore. And of course, this is another place where the fortress looks particularly impressive (my OCD tendencies absolutely love that the view of the castle is directly in the middle of the garden formation). On the evening of our second night, we ended up doing some very unsuccessful planning for our third day in Austria. 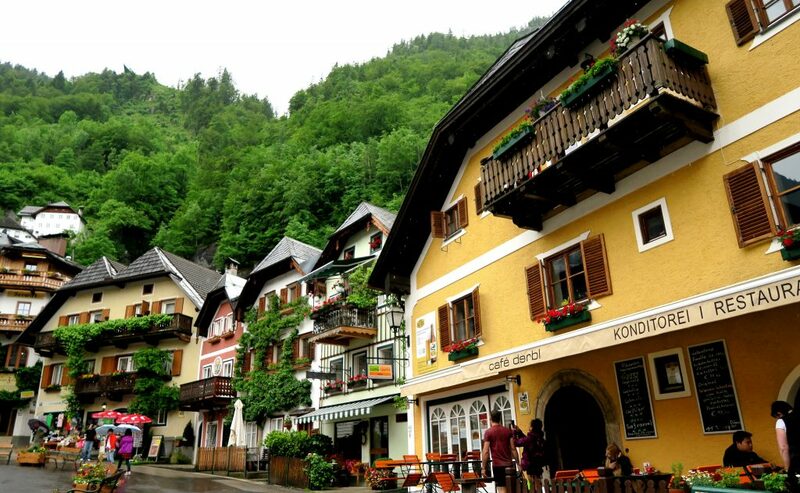 We wanted to make a trip to Hallstatt the next day and deliberated our options endlessly before booking a guided tour. RELATED POST: You can read all about our decision making and the options you have on getting from Salzburg to Hallstatt here! Given that our trip to Hallstatt wouldn’t be taking place until the afternoon, we had to find a way to pass the morning away. We took a look at our trusty tourist map and saw that there was a “great view point” listed. As avid fans of “pretty places”, we headed straight over to Monchsberglift! The lift takes you up to one particularly good viewpoint, you can then walk around the woodland area stumbling across other great sights – a lovely walk on a sunny day! To get to the Monchsberglift, you will probably need to walk down my favourite little street in the city (Gstattengasse). 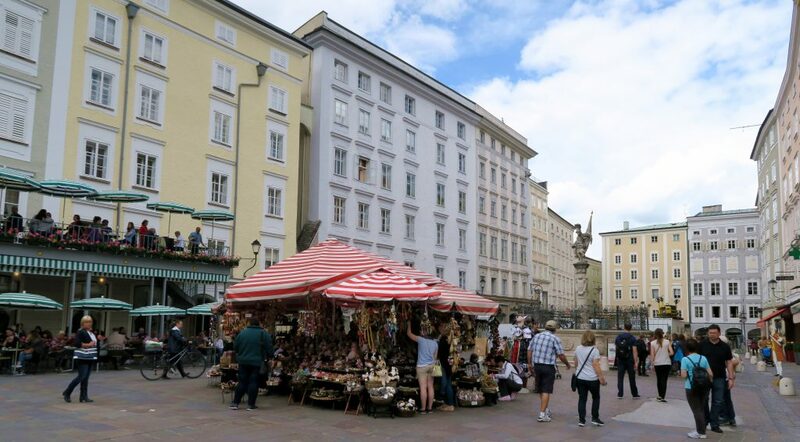 I thought that I was being a bit weird by really liking this street as there isn’t really anything of note here, the buildings are just nicely painted… but apparently not, it’s rated on TripAdvisor as the 47th best thing to see in Salzburg – knew I wasn’t going completely mad! Getreidegasse is a very traditional-looking shopping street, great for strolling through and having a quick window shop! There’s lots of great shopping areas around the Old Town (including a lot of luxury high-end brands!). Take A Trip to Hallstatt! 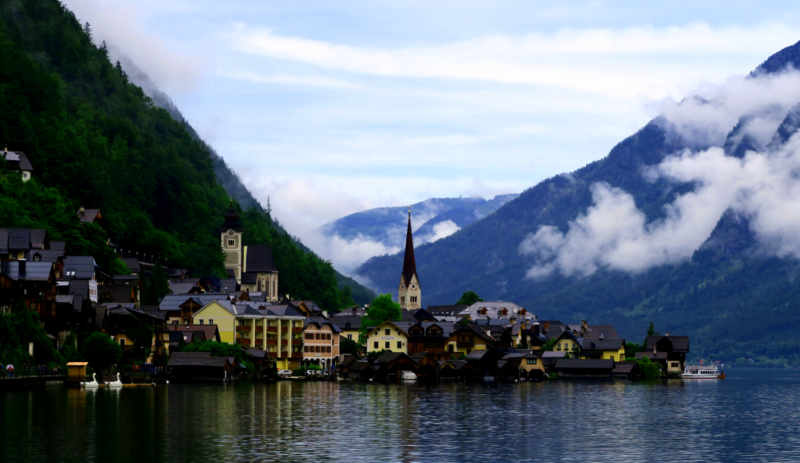 And finally we were off to Hallstatt for our final afternoon in Austria – there’s plenty to see and do here, so the town has a whole blog post dedicated to it – you can read all about that here. After our lovely trip to Hallstatt, we headed back to the hotel to pack up all of our things ready to say goodbye to the lovely Austria in the morning. Austria you were fantastic and I can’t wait to visit again! RELATED POST: Want to know how much this whole trip cost? 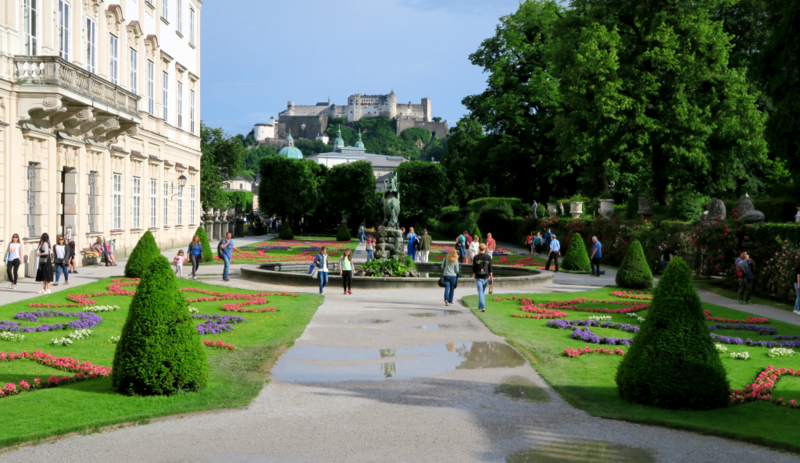 Find out how you should budget for Salzburg here! Untersberg – This is probably the attraction that we were most upset about missing. The cable car up Untersberg mountain wasn’t running when we visited Salzburg but the views look absolutely gorgeous (just have a quick google image search to see for yourself!). Sound of Music Tour – Okay, I haven’t actually seen The Sound of Music (shock horror! ), so I would have felt like a bit of a phoney if I actually went on this tour – but hey, I should tell you that it exists! Eagles Nest – My inner history nerd is a bit upset that we never did a day-trip to Eagles Nest (Hitler’s former residence). Whilst this is technically in Germany, you can reach it within an hour when driving from Salzburg! 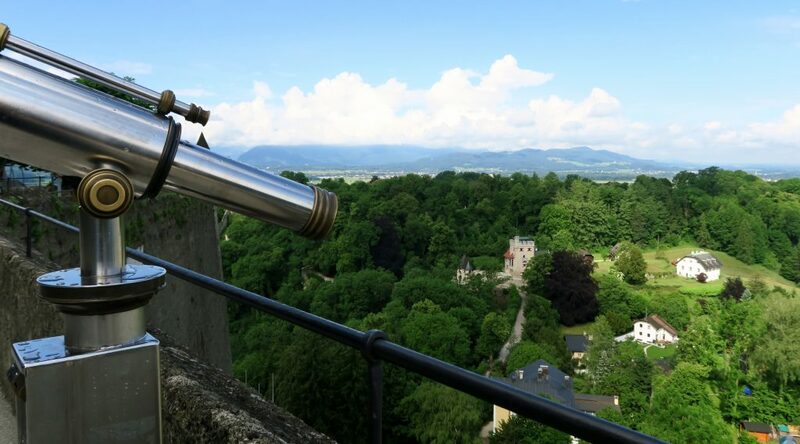 On a similar theme of crossing the German border, I would have also loved to have explored the Bavarian mountains or taken a trip into Munich (probably would have needed longer than a day to fully explore what Munich has to offer!). Mozart concert dinner – yes, you read that right! If you have some cash to splash and want a Mozart concert while you are wined and dined, Salzburg is the place to do it! Stiegl-Brauwelt – Also included on the Salzburg card is a brewery tour! I took the Heineken brewery tour in Amsterdam (read about that here) and I’m not a fan of beer, so felt like I could sit this one out! Aw thank you Kerry! Hope you enjoyed your trip!